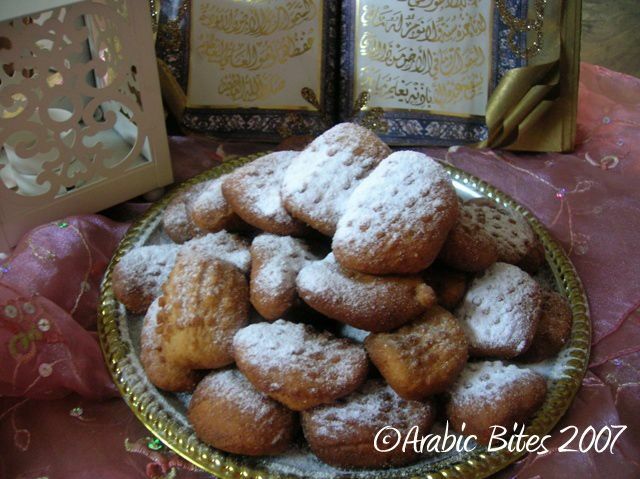 This traditional sweet created 100 years ago by woman called Zainab she had impressed everyone with this recipe. In arabic gulf area we make it every year in Ramadan. 1 cups whole wheat flour. 1 Tablespoon milk powder . 1)Place all ingredients in the bowl of mixer ,beat 10 minutes to make a soft dough. 2)Place it in oiled bowel cover, stand in warm place about 1 hour. 3)Cut it to 4 portion roll each to long sausages cut each to small pieces . 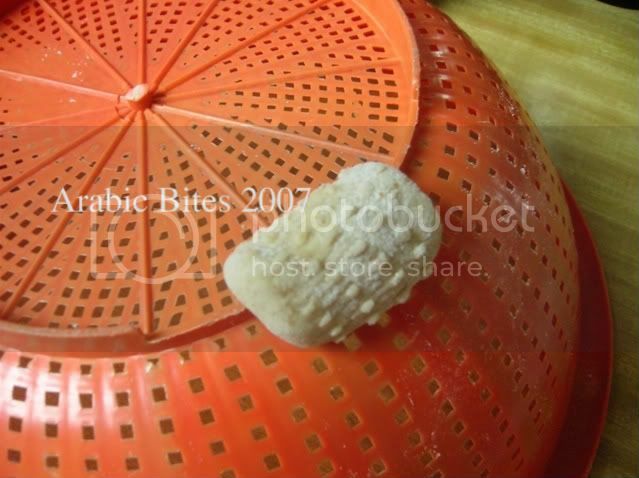 4)by your finger press every piece to colander . 5)Deep-fry it in hot oil in batches until it browned drain on absorbent paper. 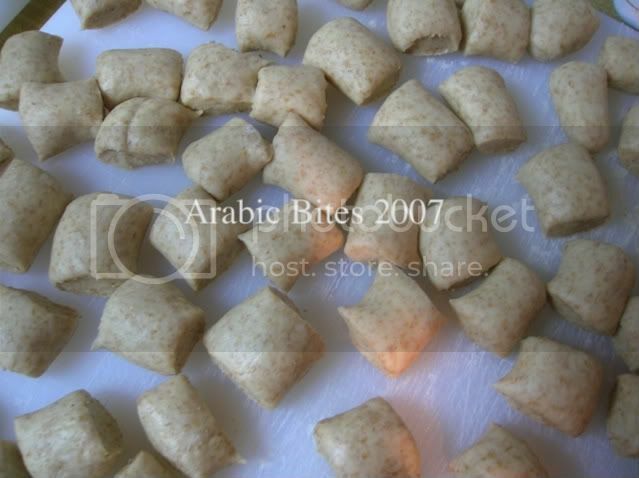 7)serve it with Turkish coffee or Arabic tea. very cool أصاب :) i will definitely try these. thanks for showing how. simply stunning!!! keep them coming!!! your comments always encourage us to keep posting. all recipes that looks so hard have been made easy at ur blog.wonderful.Im so exited.Thanks alot.I will keep trying them. I am sorry someone stole your recipe.